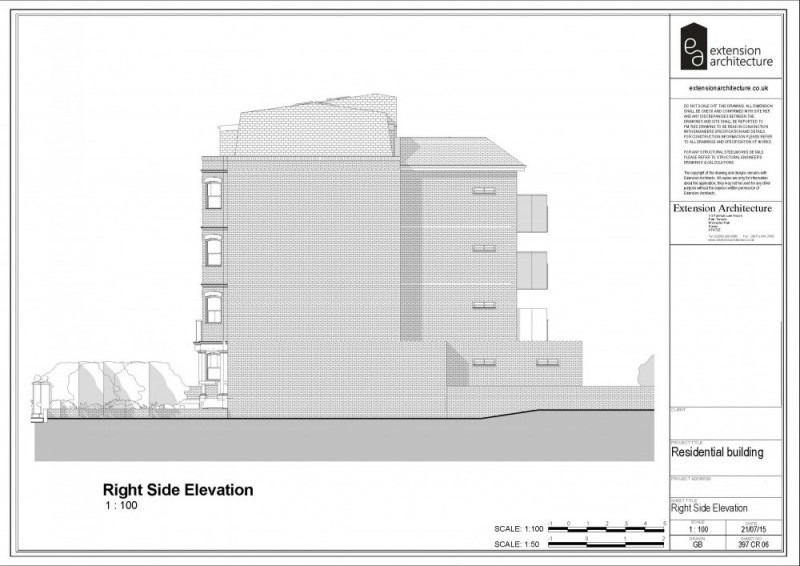 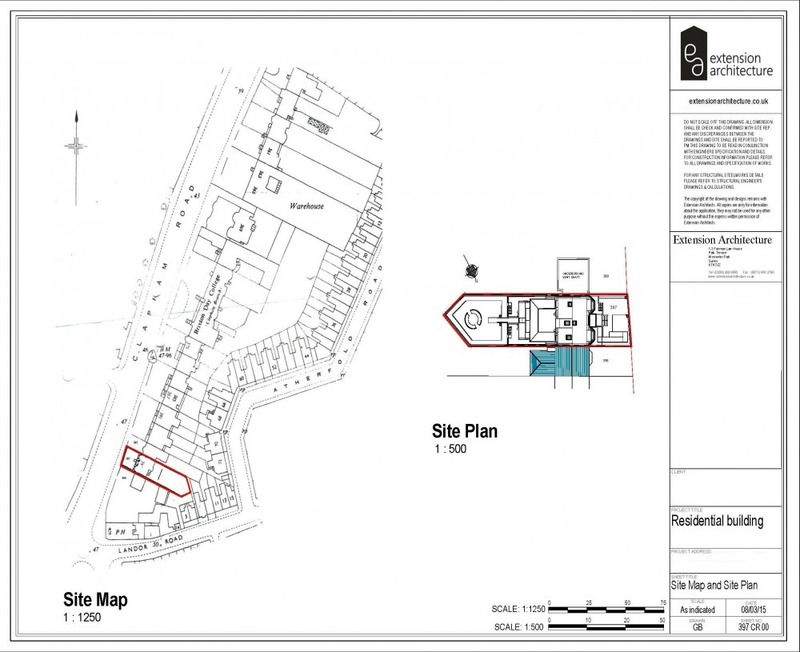 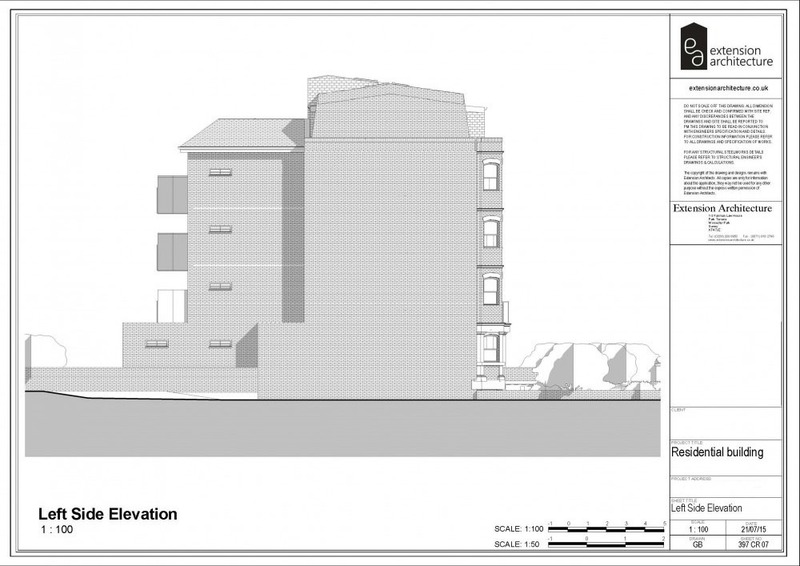 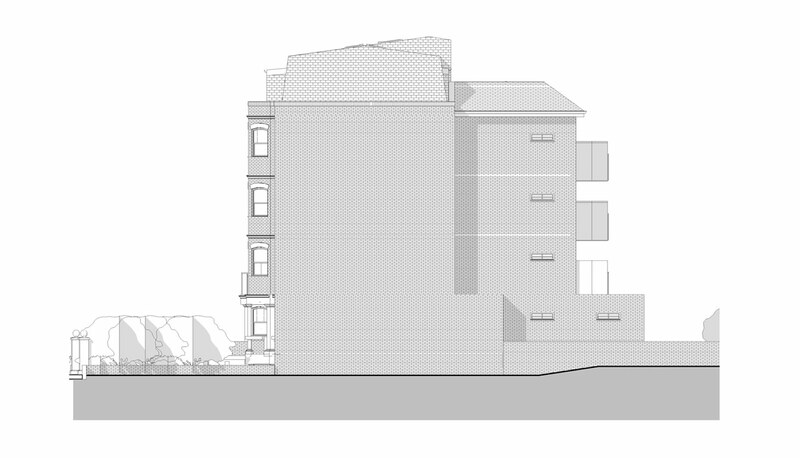 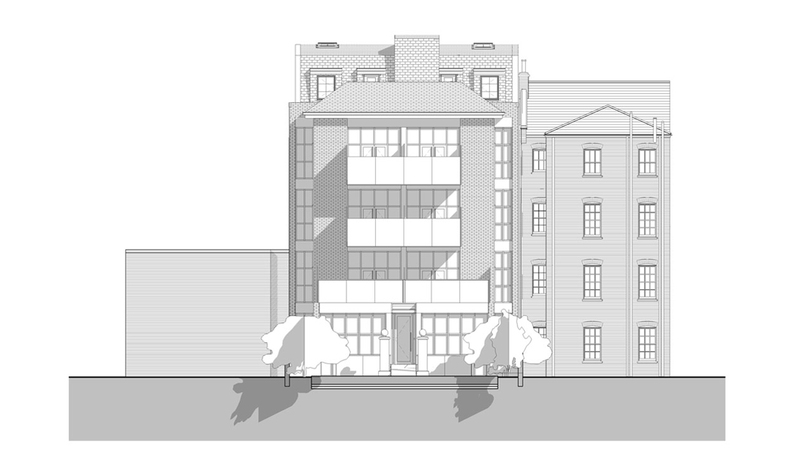 The application site is situated on the eastern end of Clapham Road. 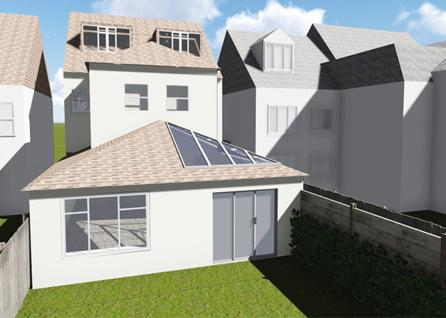 The existing building is an end of terrace three-storey residential property with basement. 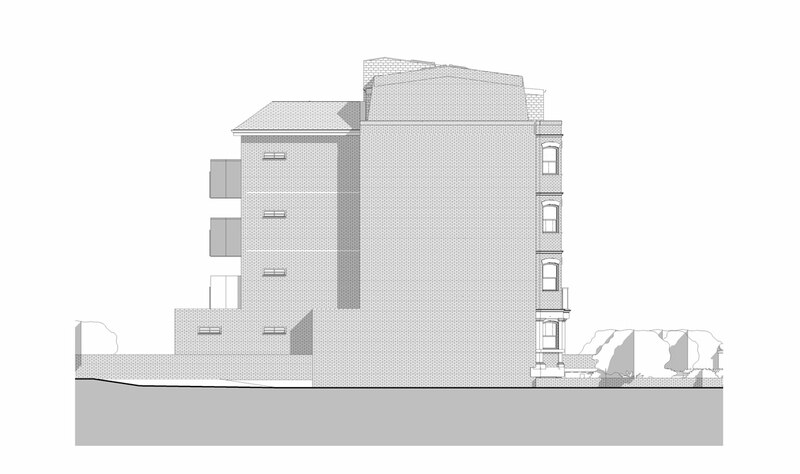 Adjoining the property on the southern boundary line is a flat roof building containing an underground ventilation shaft and on the immediate northern boundary are more traditional terraced residential properties. 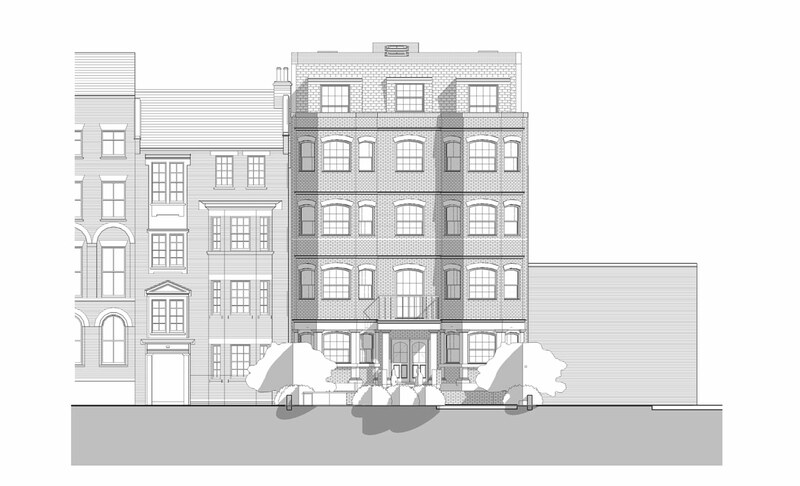 Continuing up Clapham Road there are similar characteristics with large residential buildings/semi-detached villas set back on a common building line with large front gardens. 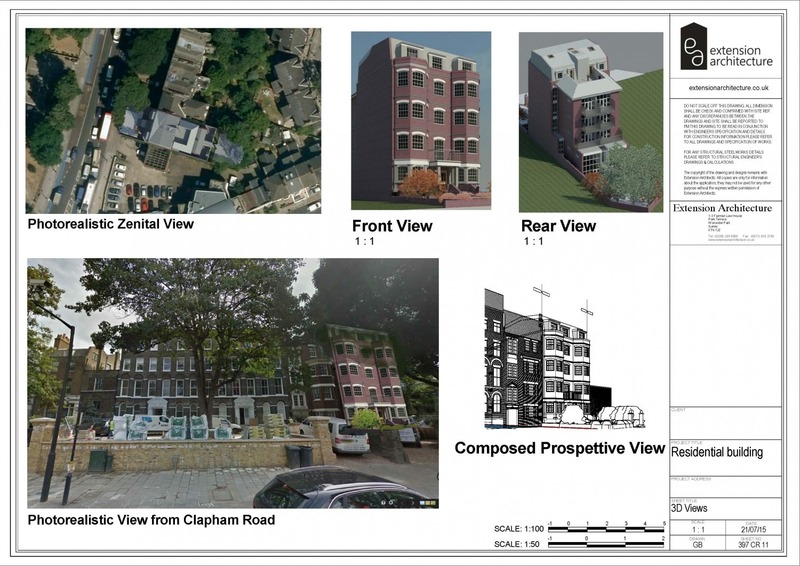 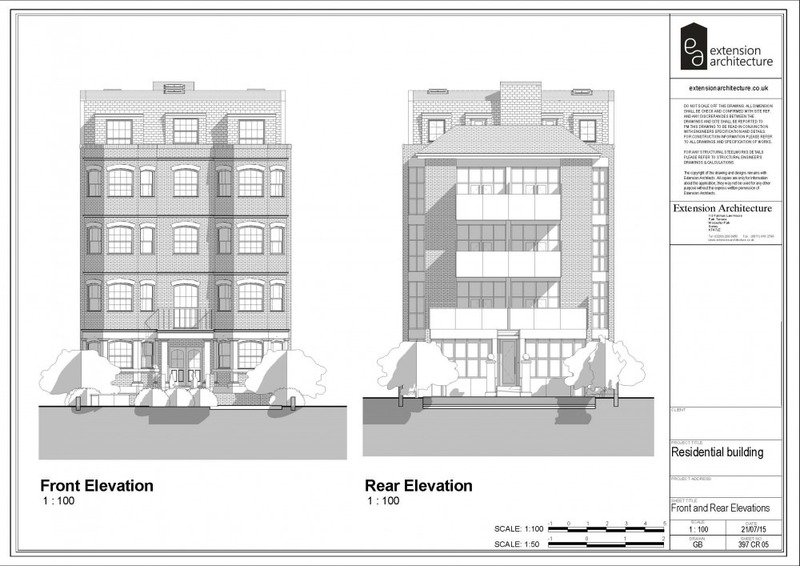 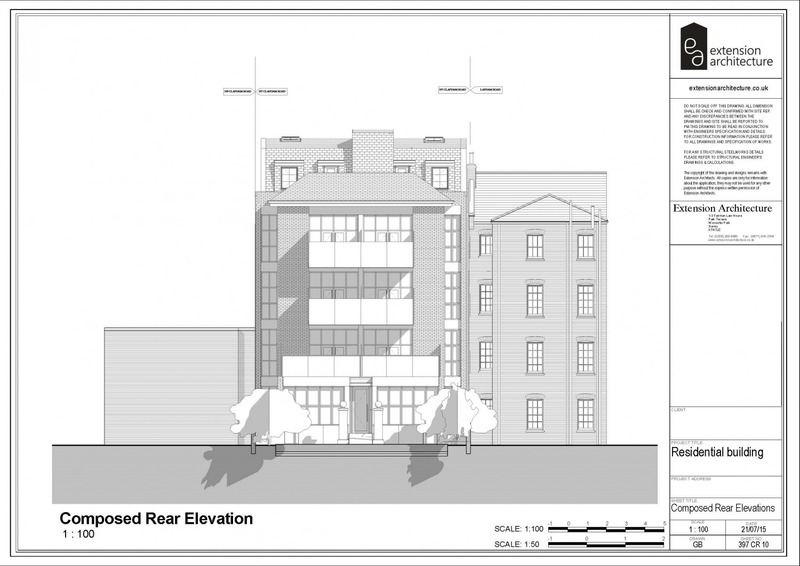 On the street of the application site there are varied heights of buildings and roof details with Clapham Road at the shortest height with an M-shaped/”butterfly” roof. 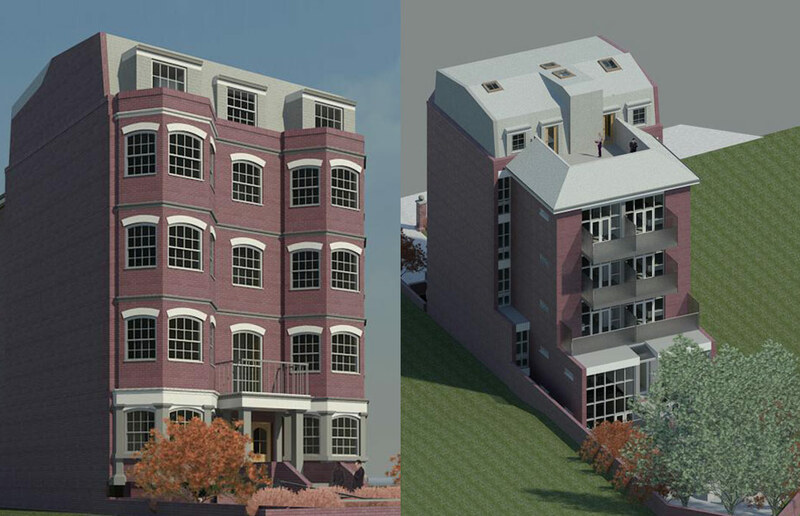 The façade finishes are predominantly brick with a few rendered finishes, NEW build in Clapham being a rendered white paint finish. 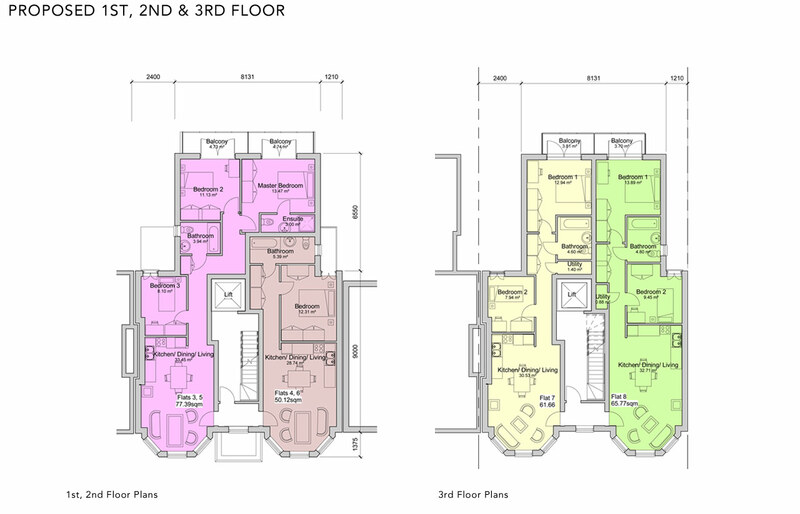 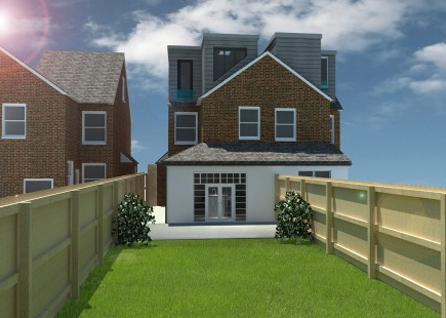 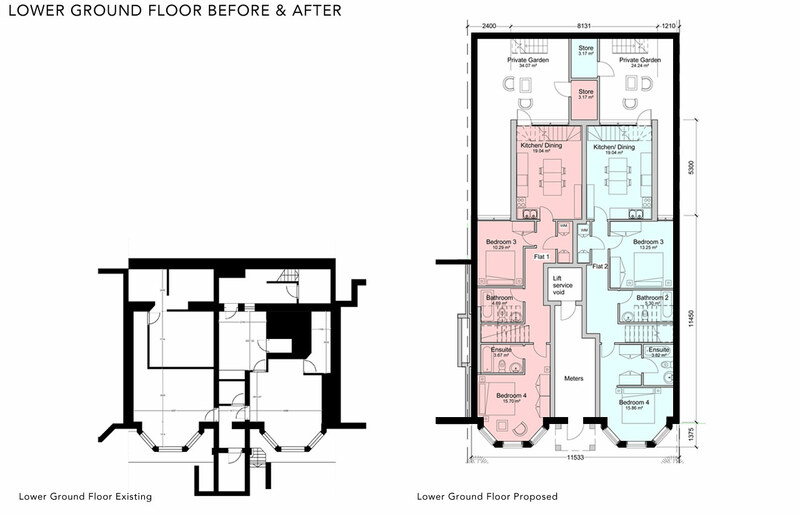 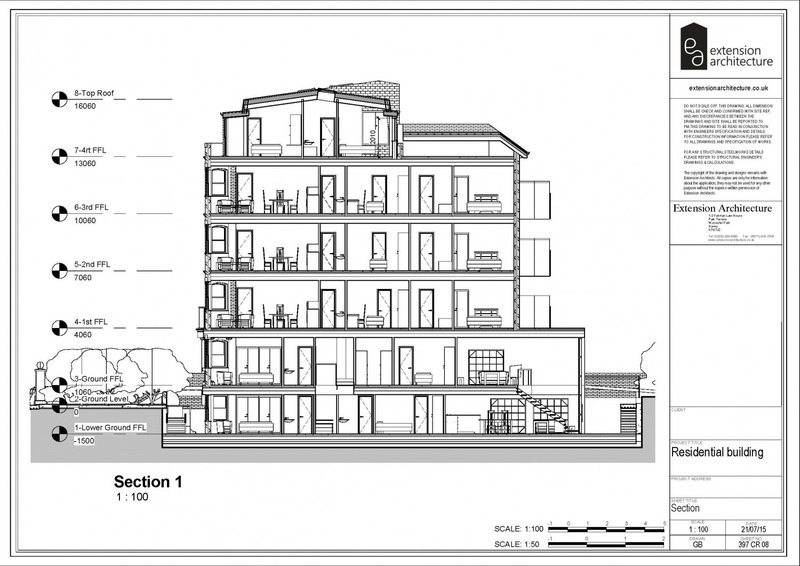 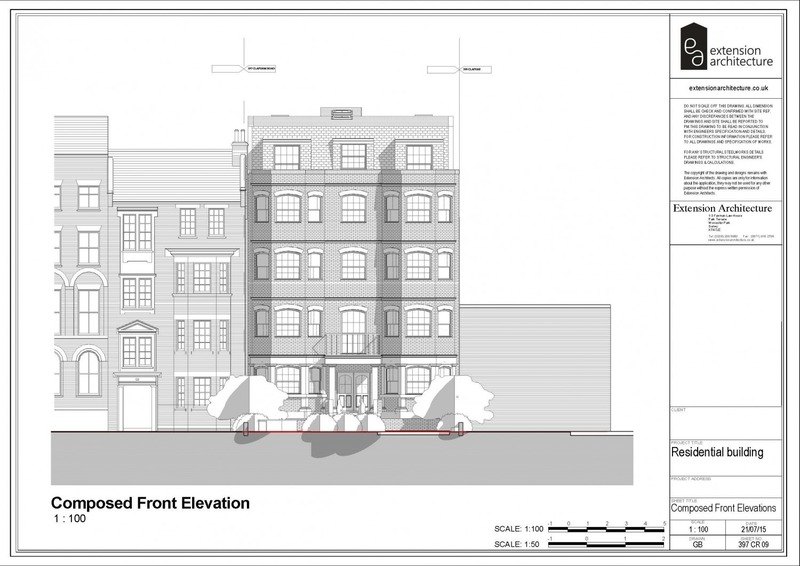 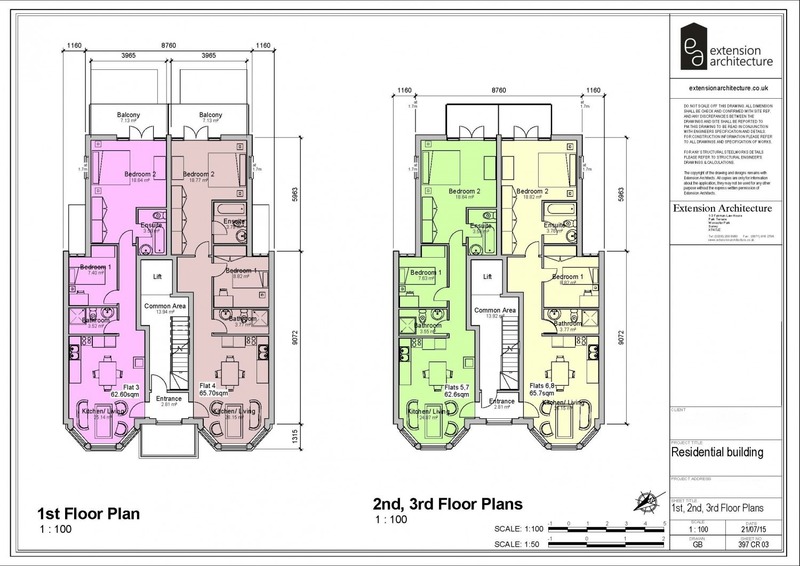 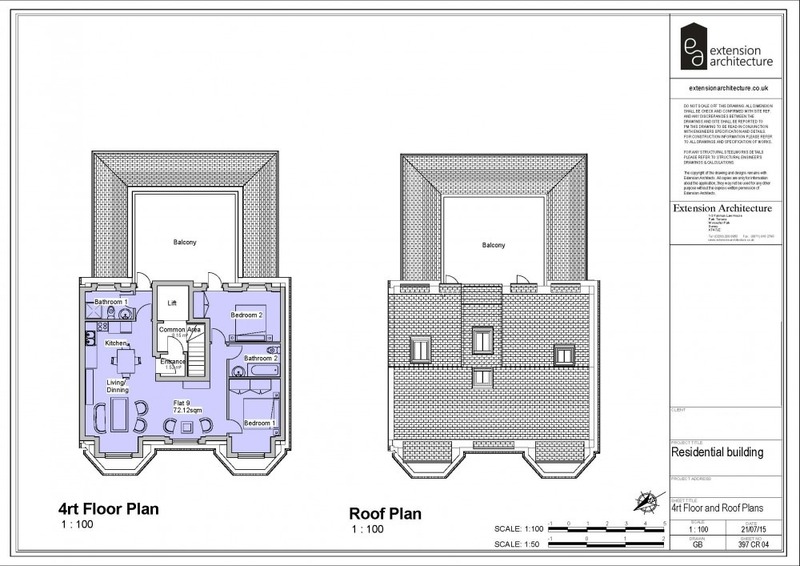 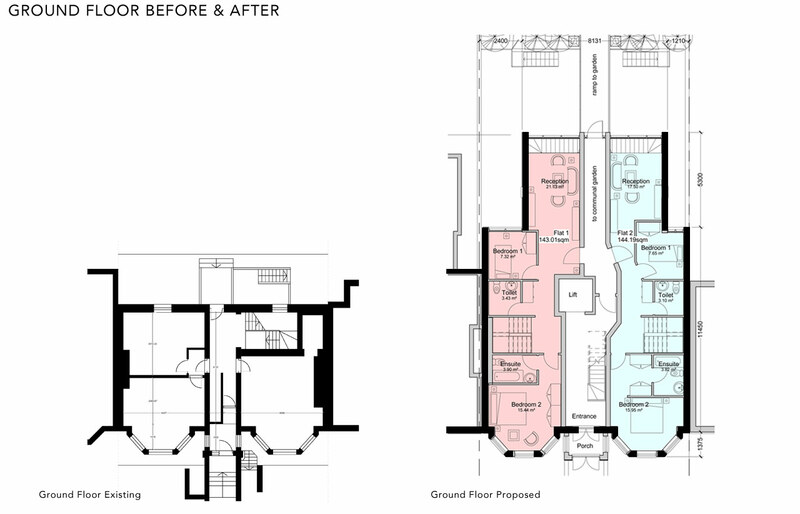 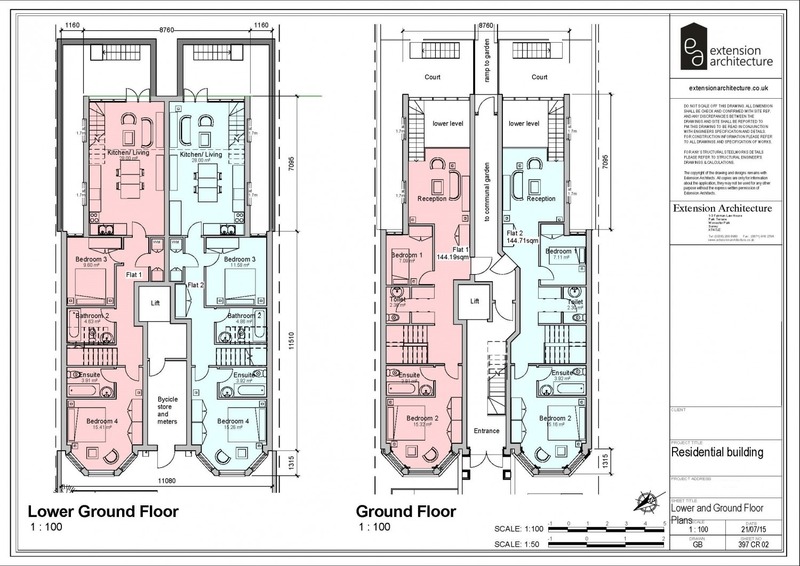 Now this 310 sqm, 3-storey building in Clapham with 4 flat (3 x 3 bedroom and 1 x 2 bedroom) is turning to 1050sqm, a 5-storey new build of 9 flats (2 x 4 bedroom, 2 x 3 bedroom, 2 x 2 bedroom, 2 x 1 bedroom) with basement. 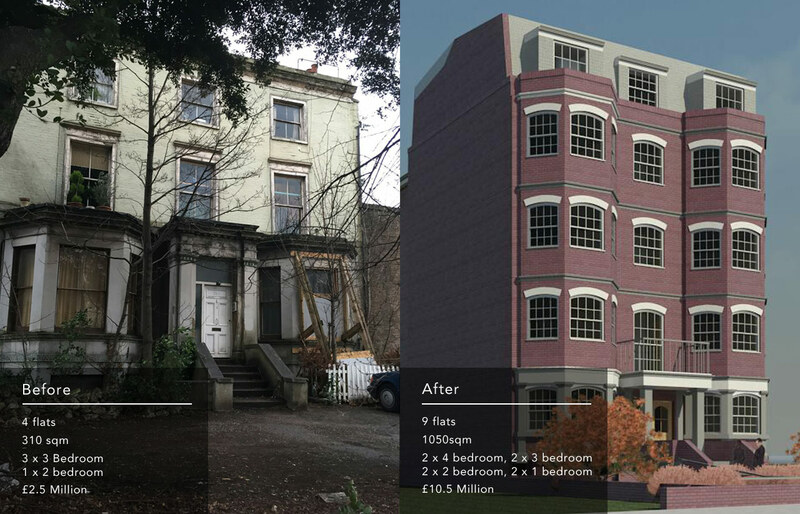 The value increased more than four times from £ 2.5 Million to £ 10.5 Million. 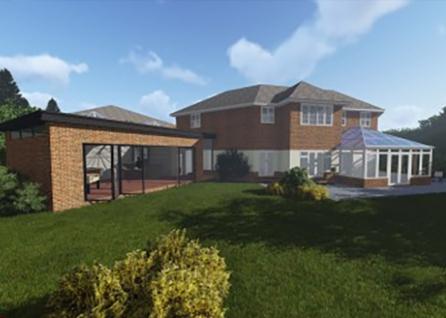 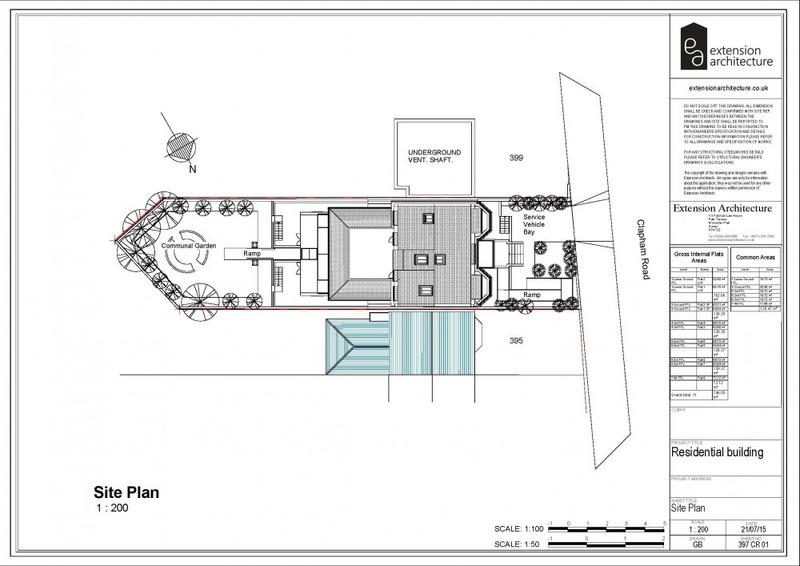 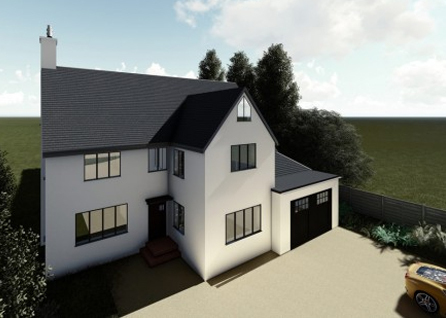 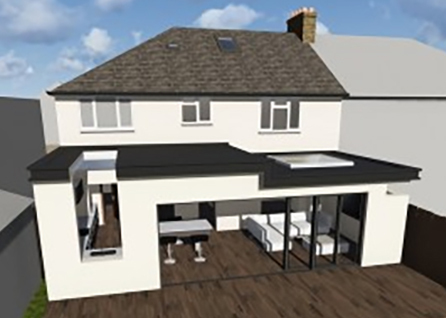 Extension Architecture will help you to realise the hidden potential value of your property.